The wear process results in generation of debris, or particles, of various size, shape, color distributions and chemical composition[1, 2, 3]. These distributions are dependent on normal load, sliding speed, environment and many other parameters. The types of wear particles includes plate-shaped particles with aspect ratios of 2-10 produced as a result of accumulated plastic deformations, ribbon-shaped with aspect ratios higher than 10, produced by abrasion and even spherical particles. Formation of spherical particles is not well understood, as they can be found in different types of contacts and combinations of materials. 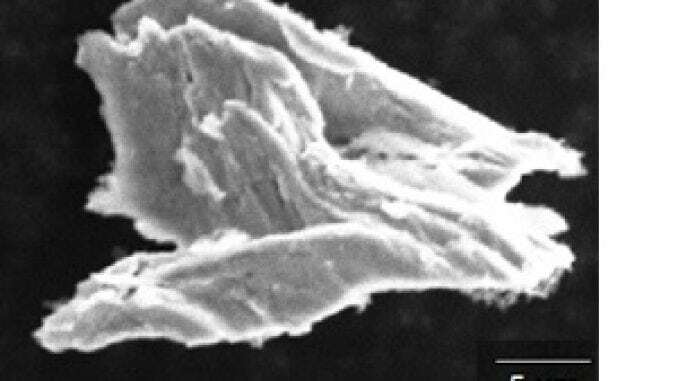 It is believed that the wear debris reflects the wear mechanism of its formation[7, 8]. Reda et al. experimentally studied formation of debris in lubricated sliding steel contacts, and distinguished 6 wear regimes based on characteristic wear particles morphology and composition. Bhushan B. Principles and Applicaion of Tribology. New York: A Wiley-Interscience Publication; 1999. Zmitrowicz A. Wear Debris: A Review of Properties and Constitutive Models. 2005;43. Soda N. Wear of Some F.C.C. Metals During Unlubricated Sliding. Part II: Effects of Normal Load, Sliding Velocity and Atmospheric Pressure on Wear Fragments. 1975;35. Rabinowicz E. The Formation of Spherical Wear Particles. 1977;42. 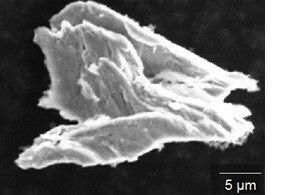 Akchuin A, Xu, S.,Tangpong,A., Akhatov,I., Tian-Liu, Weston,W., Zhong,W.-H. Nanoscale Characterization of Wear Particles Produced From CNF-Reinforced HDPE Composites. Houston: In proceedings of IMECE Annual Meeting; 2012. Williams J, A. Wear and Wear Particles – Some Fudamentals. 2005;38. Roylance B, J., Williams, J.,A., Dwyer-Joyce, R. Wear Debris and Associated Phenomena – Fundamental Research and Practice. 2000;214. Reda A, A., Bowen, R. Characteristics of Particles Generated at the Interface Between Sliding Steel Surfaces. 1975;34.